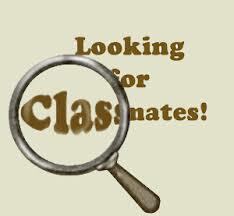 Assist class of 76 classmates that need financial assistance in purchasing a reunion ticket. Pay-it-Forward to assist class of 1977 with a successful 40 year reunion. If attending reunion order here, but pay and pickup at event. Private Message Kimberly Bos Jones on FB with size request. Unable to post size options on donation page. If not attending reunion order here. A 3.99 shipping charge was added. Please Private Message Kimberly Bos Jones on FB with size request. Unable to post size options here. You found it! This is the homepage for the Lawndale High School Class of 1976 and will be the place to go to find all of the information about our upcoming 40 Year Class Reunion. Can you believe it has been 40 years? Planning is well underway, so check our site often! If you're a Lawndale High School Alumni, Class of 1976 - Click on "Classmates Profiles" link then find and click on your name to register on the site. Create your profile and please don't forget to add some recent photos of yourself, your family, children, Grandchildren. It's FREE to join, totally secure & password protected! We also welcome faculty members and Lawndale High School Alumni from other graduating classes (even different High Schools) that have strong ties with our class. We can add your name to our guest list, which will allow you to complete your registration and set up your profile. Please Contact us at lawndalehigh76@gmail.com with your request. Creating a profile automatically joins you to the web site and will allow you to have full access. It will also allow us to keep you up to date with the reunion and any other future functions. You will have the option to securely communicate with other classmates. You control what level of communicatons you want to have in your profile. This is the official Lawndale High Class of 76 web site and will be the main way we communicate with you. To make this website and our upcoming 40 year reunion a success, please encourage your fellow classmates to register.